Past trauma, cancer excisions and other unpredicted events can result in unsightly deformities and scars on the skin. When they appear on the face, it can be especially devastating. Facial reconstructive surgery can restore your facial features to their most natural appearance with careful adherence to restoring or protecting their function. 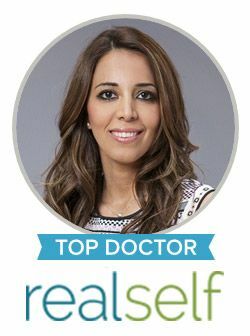 Dr. Harirchian is a leading facial reconstructive surgeon in Houston who carries years of training and experience in facial recontructive and cosmetic procedures. She uses a delicate surgical hand and extensive knowledge to ensure your reconstructive procedure produces beautiful results that you can be confident in. For a large majority of patients, facial reconstruction is a life-changing procedure that ensures they are no longer reminded of a painful or difficult past experience. Facial reconstruction can involve a variety of procedures on any area of the face, including those that improve scars, treat paralysis or rebuild a damaged facial feature. To schedule a consultation with Dr. Harirchian regarding your facial reconstructive plastic surgery in Houston, please contact our office today. We look forward to doing our part to help you live a more confident life.